The Burundi Mikuba Washed was carefully roasted for you by Brandywine Coffee Roasters. 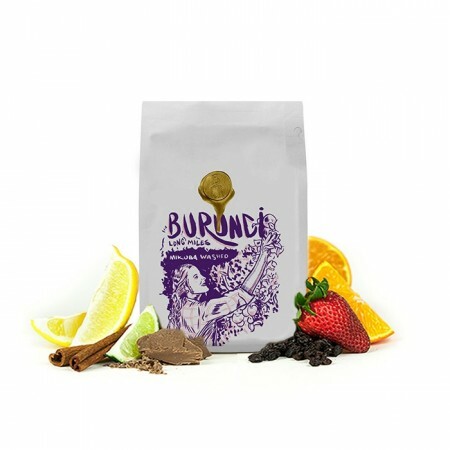 Grown small holder producers and in collaboration with the Long Miles Coffee Project in the Kayanza region between 1,850 - 2,027 meters, this fully washed coffee is a perfect example of why we love coffees from Burundi. This coffee is layered with dried fruit notes of fig and cranberry with a complex acidity of orange, raspberry, and strawberry.